3/16 X 2 1/4 Flat Head Tapcon Concrete Anchor The original masonry anchor that cuts its own threads into concrete, brick, or block. 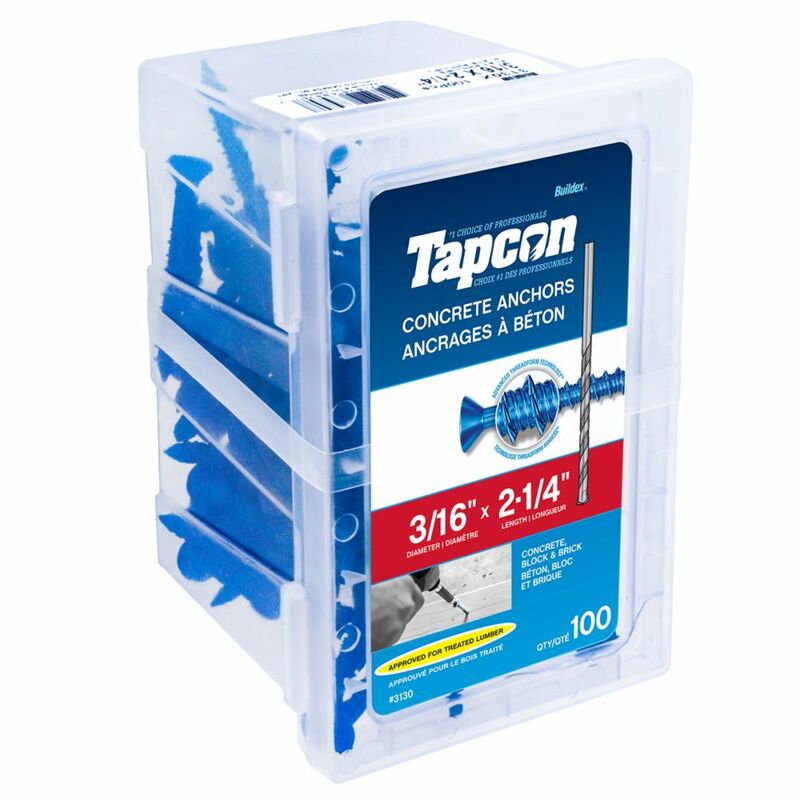 3/16 X 2 1/4 Flat Head Tapcon Concrete Anchor is rated 2.0 out of 5 by 1. Rated 2 out of 5 by Screwed from 1/4 inch product is far better Used these for attaching sheathing to concrete. They work decently but they don't make drill bits that last to make holes for them. Make sure to counter sink your hole first (The Phillips head drive worked well for that). They like to spin out just before driving down flush to the surface.